This tourist information office may well be the smallest visitors centre in the world. 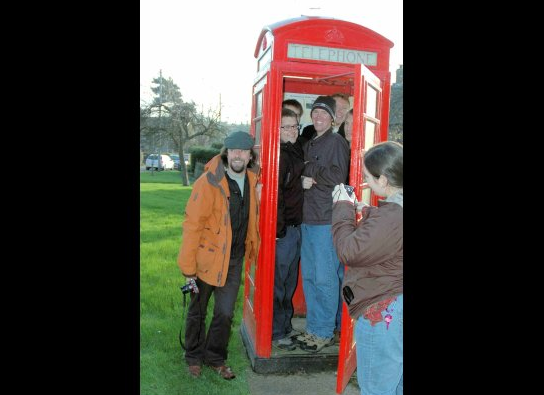 It's situated inside an original red British phone booth in the town of Flodden (Northeast of England). And even though it is small in size, they have got lots of big plans ahead, like adding wifi, QR codes and a signal booster. Love it! You can watch the photo's via the link below.